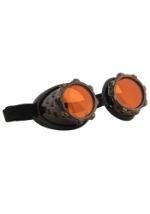 See what you can event in an alternate history with these steampunk goggles. The steampunk brown goggles fit on with an elastic band for a secure fit. 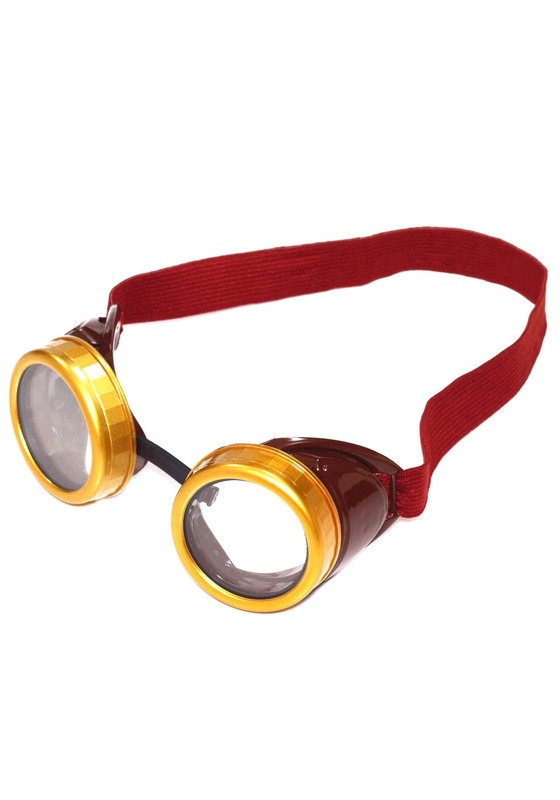 The rims around the lenses are gold with a faux leather nose-piece that gives it a classic Victorian look for any steampunk costume. 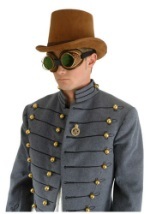 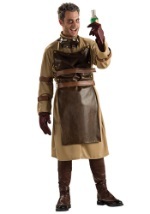 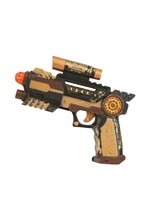 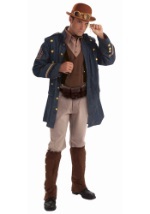 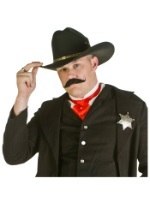 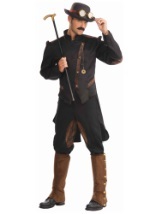 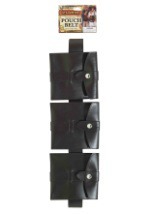 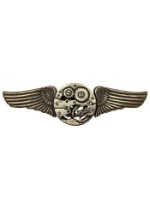 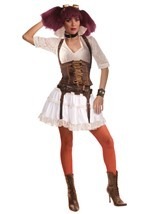 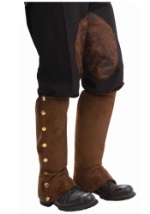 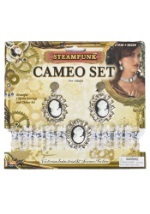 Pair with any of our adult steampunk costumes for a truly unique look!